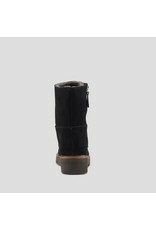 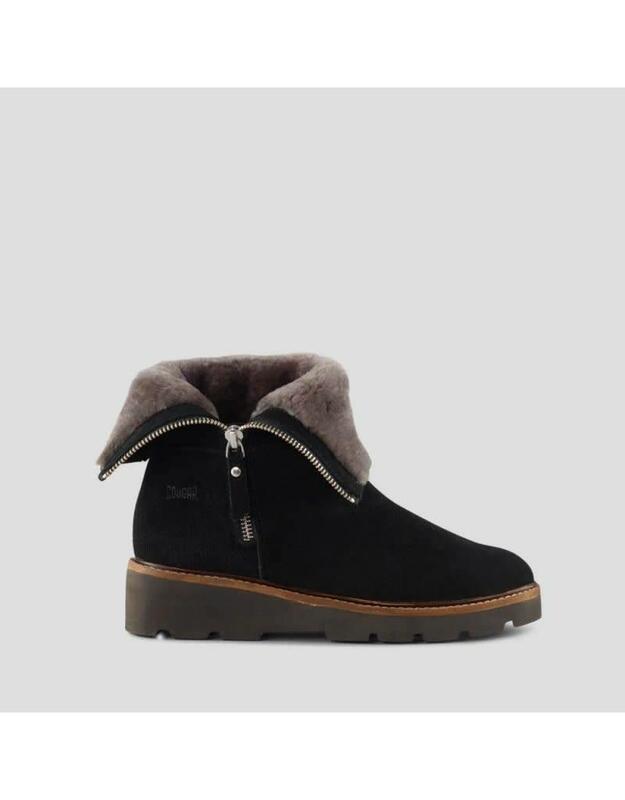 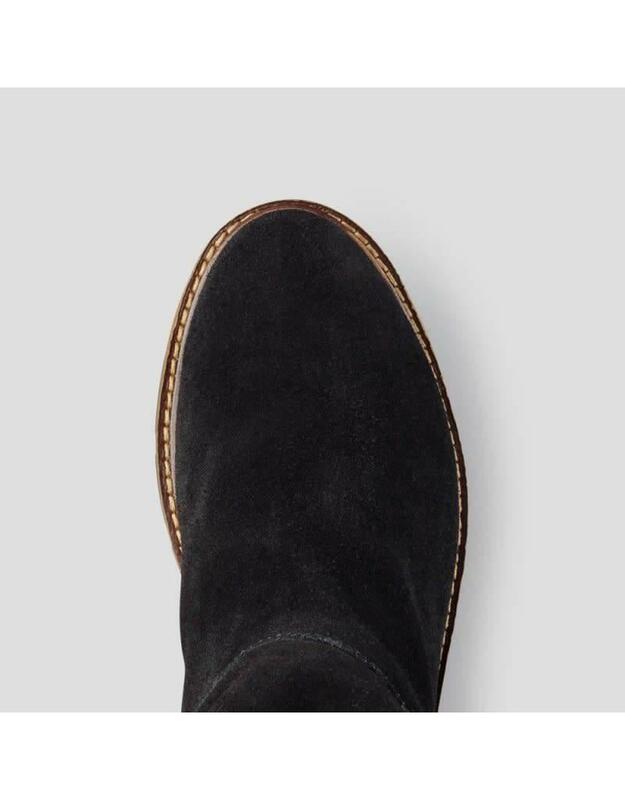 Mid-height suede boot with fold-down shearling collar. 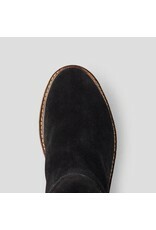 Rounded toe. 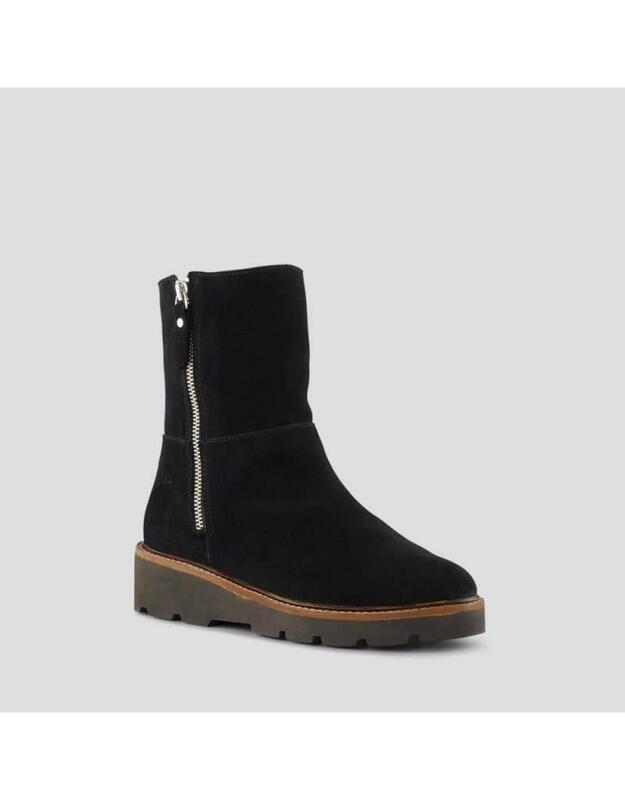 Zip closure on side. 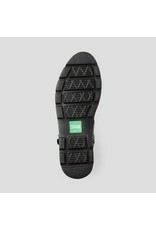 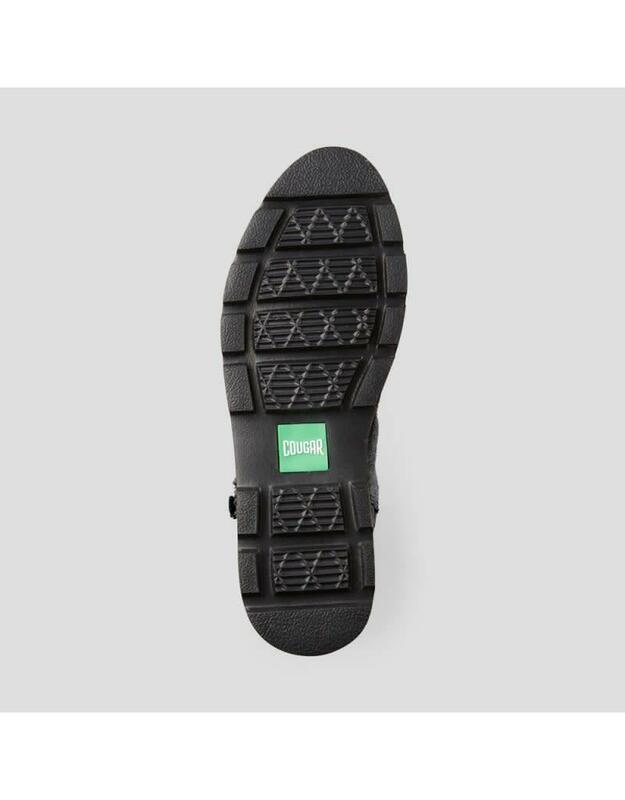 Rubber outsole with leather welt. 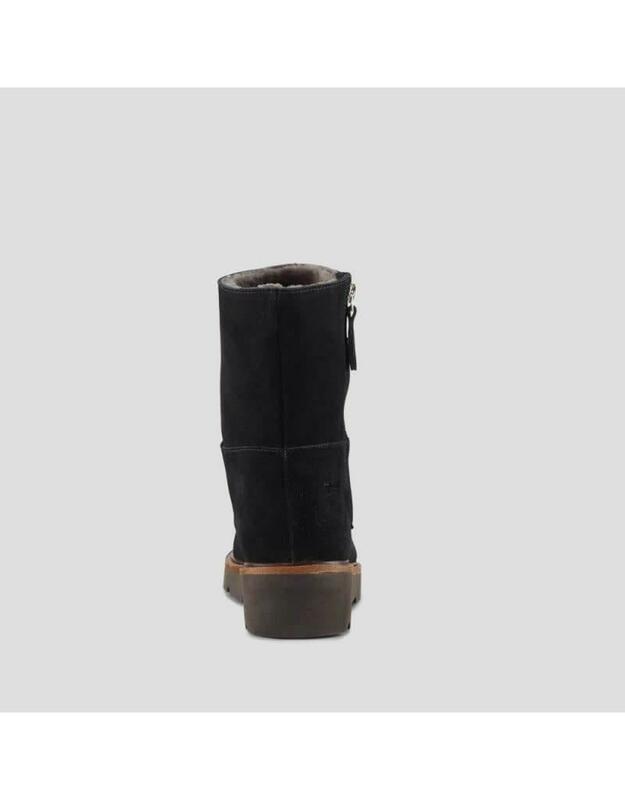 The Gabby is lined with natural shearling wool throughout the collar and shaft of the boot.